Victory's Gait @ Sweet Dreams Farm, Inc. is a Faith-based, Home-school friendly, Non-profit organization that provides educational opportunities through mentoring, teaching and hands on Kinesthetic learning opportunities to our community's youth at reduced and affordable rates. He has shown you o man what is good, therefore what does the Lord your God require of you? But to do justly, love mercifully, and to walk humbly with your God. MOST OF US KNOW ABOUT THE INFAMOUS ZEE, OUR ARAB BUCKING BRONCO BOY. He has a wild hair in him that we’ve been working to get out for some time now (years!) We’ve reached a point of decision making - what to do with Zee? He has the best of the best ground skills a horse can have! Problem is we have not been able to ride him effectively, safely, due to Trauma-related confidence issues. Zee needs a strong hand - someone who can ride that wild hair right out of him - someone gentle but strong. As Zee’s sponsor, Janet has begun research to find the right trainer and to initiate VICTORY’S GAIT fundraising effort, GO FUND ZEE! Money raised will provide the monthly board & trainer fee. Any funds overage will continue to provide for Zee’s aftercare. Put Zee's name in the Notes/Comments section when making your donation. ​To read Zee's full story visit this blog. 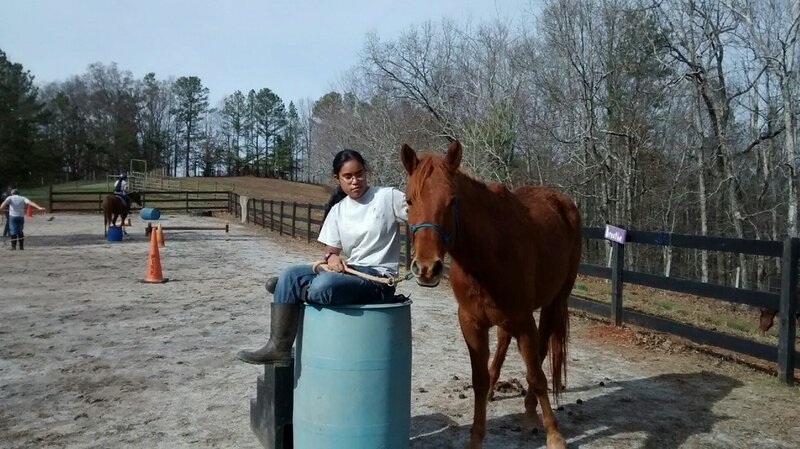 Come visit VG to shadow for a day to discover faith-based natural horsemanship and small farm management. Intro Lesson included. Contact to schedule your visit! We believe that Jesus is our Lord and Savior and the Bible is the inspired Word of God. As a team of Christian individuals, we endeavor to achieve the following as we fellowship with one another. We seek to walk worthy of Christ in our actions. Have our speech reflect the image of our Savior. Compose ourselves with humbleness as we present the gospel message through our acts of love to one another. As we travel the path of life together, we must constantly strive to put our fellow brothers and sisters in Christ before ourselves. We will encourage one another to “Get in the Saddle” and share our faith and testimony with those around us. We commit to pray for one anothers needs as they are presented and to use our gifts and talents to help fill those needs. And wherever God takes us, whether we ride together or have to move on, it is our hope that the way we walk will never change. -Opportunity to use learned techniques and knowledge to facilitate supervised "Student-Taught" Natural Horsemanship lessons to the public at a reduced rate and earn a little pocket change in the process. -Perform in an end of the year achievement ceremony and celebration displaying our skills for family and friends. Victory’s Gait Team is a Faith-based Natural Horsemanship program offered to families and children ages 10 and up. The team meets one full day a week to learn natural horsemanship skills, small farm management, animal husbandry, participates in riding lessons, community service, as well as team building and leadership skills. if you are interested in joining the Victory's Gait program. Suzie is the newest member of the Victory's Gait herd! She is a 6 year old Haflinger mix, who was rescued from slaughter in fall 2017 by Mrs. Vicki, the Victory's Gait Steward/Instructor. She is now happy and heathly, and learning how to be young at heart again! A happy ending like Suzie's is only possible because of God's gracious orchestration of the events surrounding Suzie's former situation, and through the efforts of those who participate and support the Victory's Gait program! 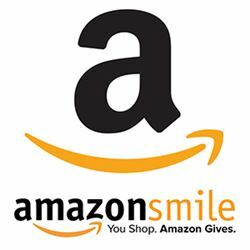 Follow this link to start shopping, and giving today! If you are interested in blessing us with a Tax-Deductible donation to our organization, you can visit the Contact/Calendar to donate or receive more information or you can donate below. The Victory's Gait program at Sweet Dreams Farm offers a special opportunity for the youth of the community to participate in the farm life, and develop Natural Horsemanship skills, through our weekly and monthly programs. To learn more about how you can become a part of this unique program visit The Team page. Click through the slideshow to see the personal testimonies of people who have been blessed by the Victory's Gait program. Victory's Gait has several rescue dogs on site looking for a new home. If you are interested in seeing them visit the bottom of the farm page for pictures.